While the earliest recorded history of someone proposing a typewriter-like device goes back to the early 1700s, the first known working manual typewriter was developed in Italy a century later. Inventor Pellegrino Turri built a machine for a blind friend, according to history scholars at Xavier University. In 1870, a Danish pastor and inventor named Rasmus Malling-Hansen patented the first commercially produced typewriter called a “writing ball,” which had the keys protruding from a round surface, under which paper would be placed. 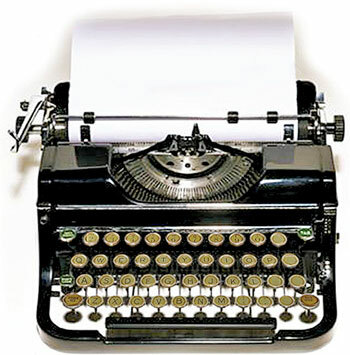 However, the model that accelerated the typewriter's popularity was the one built by Sholes and Glidden, starting in 1873. While the Sholes and Glidden model introduced the QWERTY keyboard, which is still used predominantly today on typewriters and computer keyboards, other brands were developing their own distinct models. The Caligraph, for example, had separate keys for upper-case and lower-case letters. The Daugherty and Underwood models that emerged at the very end of the 19th century created the basic look that would last for decades. This included a QWERTY keyboard with keys that would strike the front of the platen (typing surface), as opposed to the back of the platen as in the early models, as well as the use of a ribbon and four rows or banks of keys. Manual typewriters started to give way to electric typewriters in the 1960s, when companies such as Brother started capitalising on innovations that were placing electronics throughout the office setting. Manual typewriters continue to increase in value as antiques, representing nearly a century of innovations as the most sophisticated and technologically advanced way to present the written word.